Two of the hottest vegan pop ups are hitting the cobbles of Camden Market - for TWO NIGHTS ONLY! 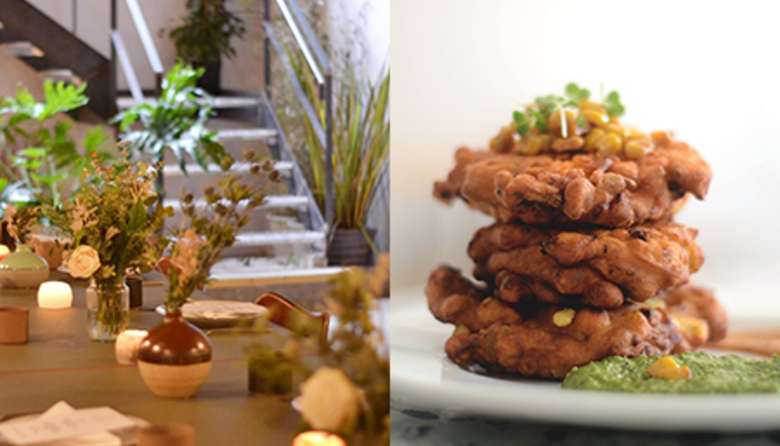 Hosted at Cafe Chula, new Head Chef Dan Borham and vegan foodie Sa Reta Puri are collaborating to curate a series of vegan events at Cafe Chula in Camden. Danae Dade from The V Spot is the first guest chef to bring their brand to Cafe Chula for a vegan Mexican celebration. Danae believes that good food is good for the soul and she is passionate about creating comforting plant-based meals that everyone will enjoy. The second night of Vegan Supperclub sees one of South London’s finest pop up restaurants heading north of the river for an experimental dinner. Ol'Factory’s main focus is using food as the medium to create belonging and inclusion, in a way that feeds both bodies and minds. End Veganuary right at the Vegan Supperclub!